Blue Line K9 Foundation financial assistance for K9 officer training/equipment -and- to police K9 handlers & families in the event of a fallen or injured K9 or handler in the line of duty. The United States War Dogs Association care packages to our US Military Working dogs & their Handlers, veterinary care for retired MWDs, CWDs. CA/State Park K9s – California State Park Canine Foundation Education on the benefits of police service dogs in California State Parks & surrounding communities, provide K9 training & equipment; assist caring for our retired K9 partners. CA/Folsom – Folsom Police K9 Association – provide medical care to retired K9’s, furnish death benefits to all Folsom Police canines, and provide continuing education to our community through K9 demos. CA/Orange County – Orange County Police Canine Association – to assist the families of fallen officers, provide medical care for retired police K-9s, assist police departments needing to replace retired K-9s, and provide further training for K-9 teams, share information about the training and use of canines in law enforcement with their annual benefit show. MA/Cohasset – Cohasset (MA) Working Dog Foundation Supports Cohasset’s Police K-9 program; provide grants/support to people & programs in need of service dogs, including guide dogs for the blind, hearing and mobility-impaired, & seizure alert dogs. 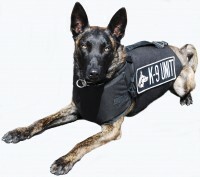 MA/Plymouth – Plymouth (MA) Police Working Dog Foundation maintains, expands, and ensures a successful K-9 Program with vet care, food, equipment, purchase dogs.